In this clip filmed at a Functional Range Release™ instructor-training course in Rome, Dr. John Saratsiotis, a Functional Anatomy Seminars certified instructor in Athens, Greece, discusses 2 concepts that governed the development of the Functional Range Release™ system of soft tissue management. These two concepts are Thixotrophy, and Piezoelectricity, both of which are important in the treatment of fascial tissue. As was discussed in a previous post-entitled “Fascia – the new target for soft tissue technique application,” we argued that the target of treatment for any soft tissue therapy has incorrectly been determined to be muscular tissue. However, scar tissue and fibrosis (which is the actual target of our therapies) actually develops in the connective tissue, or fascia. It would be easy to assume that the soft tissue therapies currently being utilized have been working on the fascia all along. However this assumption is incorrect. This is because the research that has been performed on this amazing organ demonstrates that it does not respond in the same manner as muscular tissue. Thus many changes in soft tissue application must be made in order to expect induce permanent, favorable changes in fascial structure with soft tissue application. Two such concepts include Thixotrophy and the Piezoelectric effect. 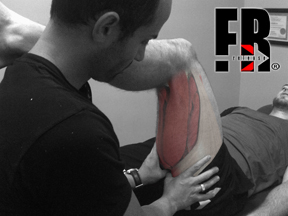 Studies show that in order to effectively utilize these two concepts, the application of load into the tissue must exceed 2 minutes in length….thus applications of technique that repetitively shortens, then lengthens tissues under a contact WILL NOT EFFECT ANY PERMANENT FAVOURABLE CHANGES IN FASCIA. A video post will be put up next week further discussing this concept.